Chelsea will reportedly have to switch their focus elsewhere as summer transfer target and Juventus defender Daniele Rugani is set to sign a new contract with the Turin giants. The 24-year-old has continued to struggle for playing time so far this season, failing to feature for a single minute in Serie A as Massimiliano Allegri has continued to opt for the Giorgio Chiellini and Leonardo Bonucci partnership in the heart of his backline. In turn, that would arguably be enough to force the Italian international to consider his future, but according to The Sun, via the paper edition of Corriere dello Sport, it appears as though he may well be set to sign a new contract to commit his future instead. Given Chiellini, Bonucci and Andrea Barzagli are all on the wrong side of 30, there is an argument to suggest that should Rugani bide his time, he will eventually become a regular starter for Juventus in the long-term future. With that in mind, that would make the decision to sign a new deal and remain in Turin a sensible one. 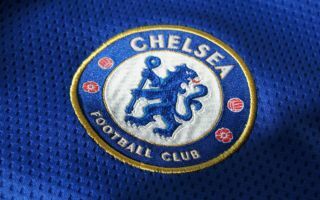 Nevertheless, with the more immediate lack of playing time coupled with the reported interest from Chelsea with Maurizio Sarri knowing him well following their previous stint together at Empoli, moving to Stamford Bridge could also be seen as an attractive proposal. He may well have encountered similar problems there though, as Sarri already has Antonio Rudiger, David Luiz, Andreas Christensen, Gary Cahill and Kurt Zouma at his disposal, and so although the Sun note that Rugani’s agent suggested that Chelsea had made a “really big” offer this past summer, it’s debatable as to whether or not Sarri really needs to strengthen in that department. Either way, it doesn’t appear as though Rugani will be arriving any time soon as if he does put pen to paper, he will effectively be snubbing Sarri and Chelsea and planning an extended stint with the Italian champions.